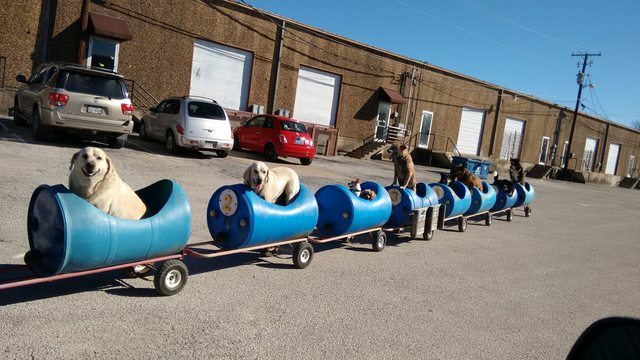 Have You Ever Seen Dogs Having this Much Fun in a Dog Train! Dog lovers of all ages can come up with some of craziest, sweetest and most clever ideas you can think of when it comes to entertaining their doggy friends. Whether it’s taking your dog to the park, playing with him at the beach or simply hanging out together on a lazy summer afternoon, the important thing is that your dog feels loved and is having a great time with you. 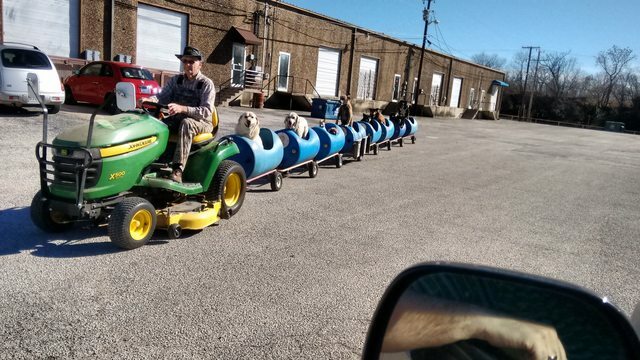 But who would have ever thought about actually building a train to ride your dogs around in? Here’s the story of one man who did! 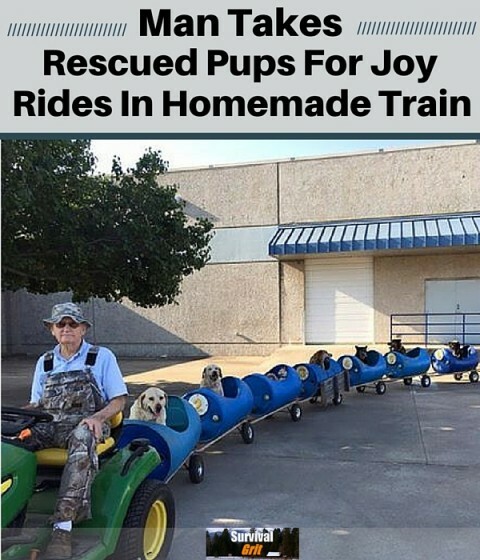 While the rescued dogs have plenty of room to run and play on Bostick’s farm, the retiree thought it would nice to be able to take them on little trips to other places as well. That’s about the time he was inspired to build a canine-specific form of transportation just for them. The dog train has come to attract a fair share of attention among locals who occasionally stop to ask if they can take a few pictures. But for Bostick, it’s all about bringing a bit of joy to a handful of dogs who had been through so much before finding themselves as his cheerful passengers.